Has Fit Radio Helped You Reach Your Fitness Goals? Has Fit Radio helped you reach your fitness goals? We want to hear from you! (And congratulations by the way! 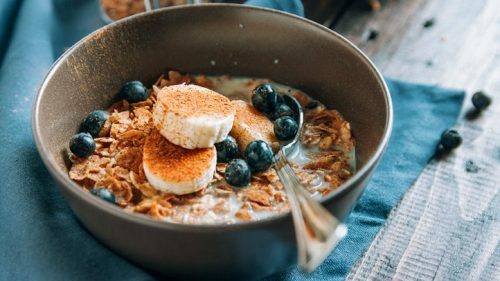 😉 ) Tell us about your experience for your chance to be featured in your own personal spotlight on our blog and social media! All you have to do is answer the questions below, email them to team@fitradio.com along with 1-3 of your best photos to accompany your feature. What has been your overall experience using Fit Radio? How did you hear about Fit Radio? 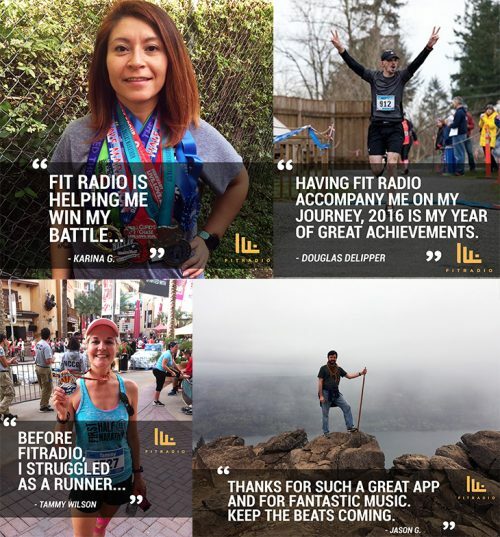 How has Fit Radio helped you reach your fitness goals? What do you love most about Fit Radio? Thank you all for your support of the #FitRadioLife! Keep it up! 1. How would you best describe yourself in three words? Honest , Friendly, and Ambitious. 2. What is the most embarrassing thing that has ever happened to you? 3. Who is or was your celebrity crush? 4. If you could read minds, whose would you want to read? DJ AM – his music selection and live mashups were unreal. A true legend. 5. What is the most important thing to you when you make a mix for Fit Radio? I always put myself in the user’s shoes. I make sure that a listener would love to listen to the mix over and over and look forward to more. 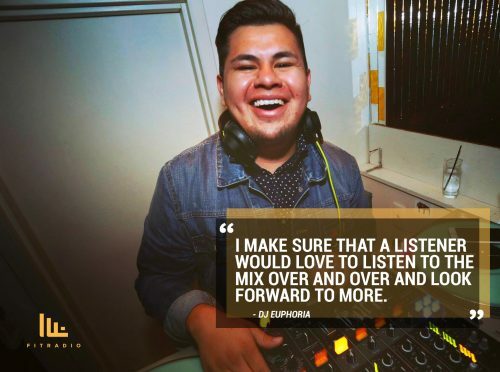 Learn more about DJ Euphoria and listen to his latest mixes here.